Juanita “Fay” Nelson, age 79, of Evansville, IN, formerly of Henderson, KY, passed away at 8:40 p.m. on Wednesday, November 28, 2018, at home. Fay was born June 4, 1939, in Malden, MO, to Joe Brown and Thelma (Vaughn) Bolton. She attended Reitz High School. 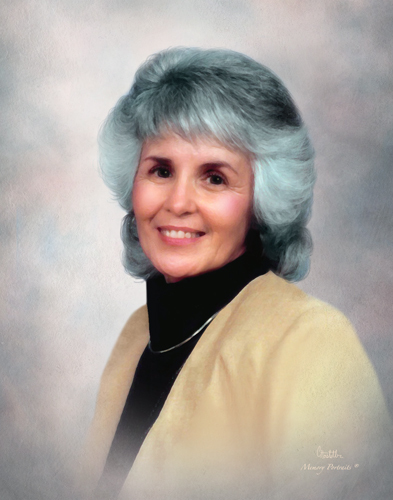 Fay was an active member of First Assembly of God where she loved being involved with the prayer team. She was the area coordinator for National Day of Prayer in Henderson for 2 years and was the co-chaplain for the Good News Jail Ministry. Fay loved ministering and serving others. She is survived by her daughter, Karen Ricketts (Joey) of Evansville, IN; sons, Dennis Nelson (Cheryl) of Pace, FL, Mark Nelson (Candice) of Fairfield, IL, and Wayne Nelson; sister, Wanda Pate; grandchildren, Summer Fletcher (Steven), Alex Nelson, Kristen Hardegree (Robert), Michael Nelson, and Hunter Nelson; and great grandchildren, Chloe Chanmaly and Emilia Fletcher; brothers-in-law, Dave Nelson (Carol) and Tim Nelson (Sandy). She is preceded in death by her parents; step-father, Paul Bolton; beloved husband of 42 years, Paul Nelson, who passed away in 1999; and brother, Robert Brown, who passed away in 1998. The family would like to say a special thank you to the staff at Heart to Heart Hospice, At-Home Equipment, Boone Funeral Home, and Advanced Health House Calls, formerly MD2U for their compassion and attentive care. Funeral Services will be held at 3:00 p.m., Saturday, December 1, 2018 at Boone Funeral Home East Chapel – A Family Tradition Funeral Home, 5330 Washington Avenue with Pastor Chad Ricketts officiating. Burial will be at 10:00 a.m., Monday, December 3, 2018 at East End Cemetery in Cadiz, KY.
Friends may visit from 1:00 p.m. until service time, Saturday, December 1, 2018 at BOONE FUNERAL HOME EAST CHAPEL. Memorial Contributions may be made to: Alzheimer’s Foundation of America at 322 8th Avenue, New York, NY 10001 or Good News Jail Ministry at 380 Borax Drive, Henderson, KY 42420.